In a previous pastoral incarnation, I helped lead chapel services for a Parents’ Day Out program. We had chapel four days a week, on the carpet of Big Church, at the foot of the altar. I’ve worshipped in some lovely locations, had my heart pierced and repaired by fantastic sermons, and been moved to tears by sacred music. But my most favorite way to pray – when I am deeply fed and satisfied with the love of Jesus – is with little ones. Much of what we did during our morning chapel time was modeled on how my mother prayed with me as a little child. The songs, the prayers, the simple answers to giant questions. On the carpet, my little friends and I were on a very even playing field, even though any one of them could have been my own child. We all met at the altar to sing songs and say prayers, to love God and love each other. And even when we got the words wrong, God always knew just what we meant. One prayer we said together every time we met in Chapel was the Lord’s Prayer. It is both a mouthful and a heartful to say this prayer. In fact, it may be the most risky and brave prayer any of us will ever pray. That Jesus taught it to us makes it that much more special. So, I felt particularly insistent that the children in my chapel group would learn it too. The Lord’s Prayer is probably one of the first prayers many of us learn. Sometimes I find myself saying it without thinking much about the words, or realize I’ve been praying along with it while I’m worrying over something. It soothes and encourages and also gives me a fresh focus and determination. Who wouldn’t want to share a prayer like that? Odds are, as we move through the liturgies of this holiest of weeks, we’ll say the Lord’s Prayer more than once. Listen to the words we pray. 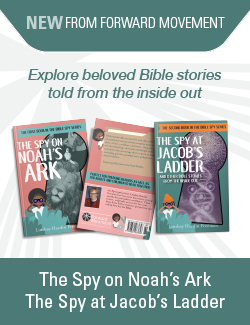 Listen to how your littles pray along. You might be surprised to learn what they’ve heard and how they pray. You may giggle, like I did, when I heard one of my little PDO guys praying earnestly, “…and weed us not into ten stations, but deliber uth fwom eagles…” You may sigh with the sweetness of a child, like one of my favorite kindergarteners, insisting on pronouncing “amen” as “almond.” And you may find yourself a little weepy, as I have done, upon marveling at the fact that our little guys pray so earnestly, try so hard, and love so deeply–just like you do, just like I do. We are all learning how to pray together–figuring out the weight of hard or mysterious words. But we’re here. And we’re listening and praying along in our own idiosyncratic ways. This is the way to the heart of Jesus. As he sets his face toward Jerusalem and begins this last walk up the hill, may we meet this beautiful, broken Jesus and each other in our shared prayers. 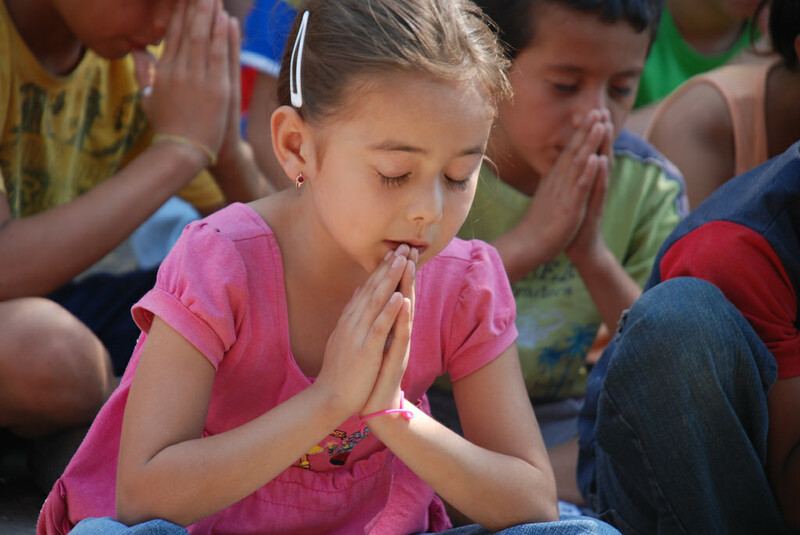 What has a child taught you about prayer? Thanks again for your inspired prayer encouragement! Although our youngest grandchild is now 16 (!!) I love your reminders about them as younger! When my daughter was about 4 or 5 she would say at the close of our prayers together “All Men” and “All the Women too”. I love what little ones teach us. Thanks for sharing you inspiration and encouragement.